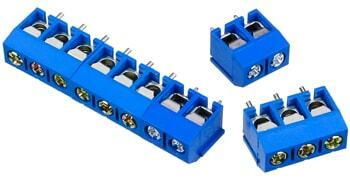 A nice feature is the slide-locking grooves which allow you to gang these together to create larger terminal blocks including ganging these together with our 3-position terminal blocks to make terminal blocks the number of positions you need. 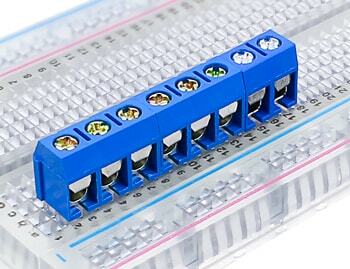 I received my order of terminal blocks. They are as described...and I got a few more than ordered! These are great for tightly hooking up connections from the outside world.